Google Search Ads are an ideal campaign type to use when you want your ad to only reach people searching for your specific product or service. This ad campaign’s goal is to get customers to take an action, like clicking on your ad or calling your business for more information. Paid search ads appear based on an auction system, where you bid against others. The Google auction is not only based on the highest bid, but also takes into consideration other factors that make up your Ad Rank. Ad Rank consists of your bid, and your Quality Score, which is based on ad and landing page quality, past performance, and overall CTR. When someone performs a Google search, aside from organic results, Google looks at relevant advertisers and determines which ads to serve based on a mix of maximum bid and overall quality score. 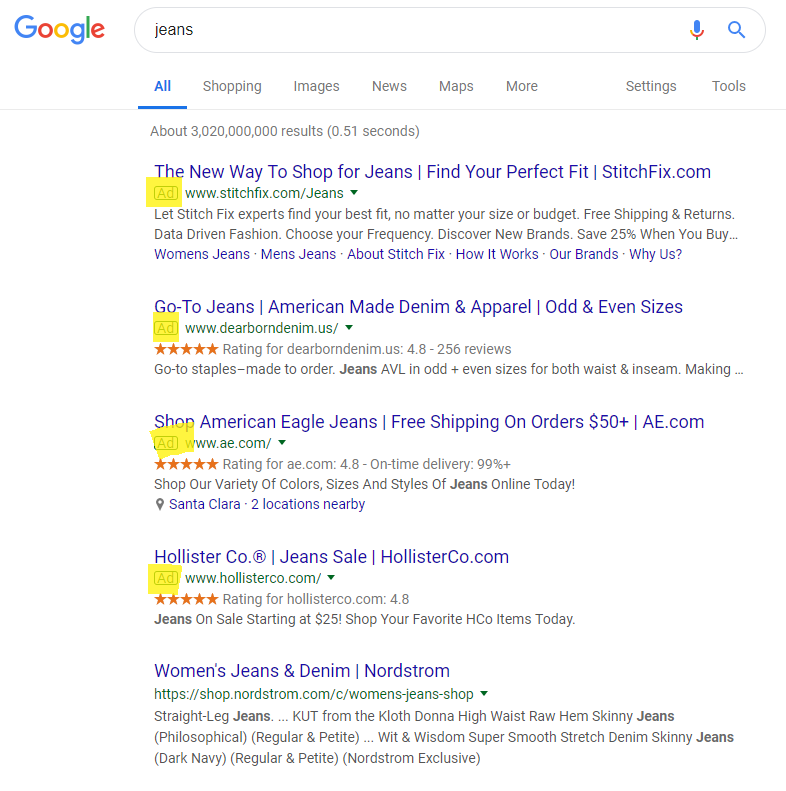 Google Search Ads are shown on the Google Display Network, which includes Google search sites, YouTube, Blogger, Gmail, and other websites. There are several options available when it comes to paid Search Ads. Responsive Search Ads: This type allows you multiple versions of headlines and descriptions, and Google automatically selects the best option to display. Automated Bidding: With this option, Google will adjust your bid based on your competitors. While considering your maximum budget, it will work within a range to give you the best chance at winning the bid. Extensions: These free options give users extra information and more opportunities to interact with your ad. There are 5 extensions available: Sitelink extensions, which provide additional links to your site; Call extensions, which allow you to include a clickable phone number; Location extensions, which include a location and map; Offer extensions, which include a current promotion; and App extensions, which provide a link to download your app. Additional targeting options: You can also target users based on device, location, language, and more.